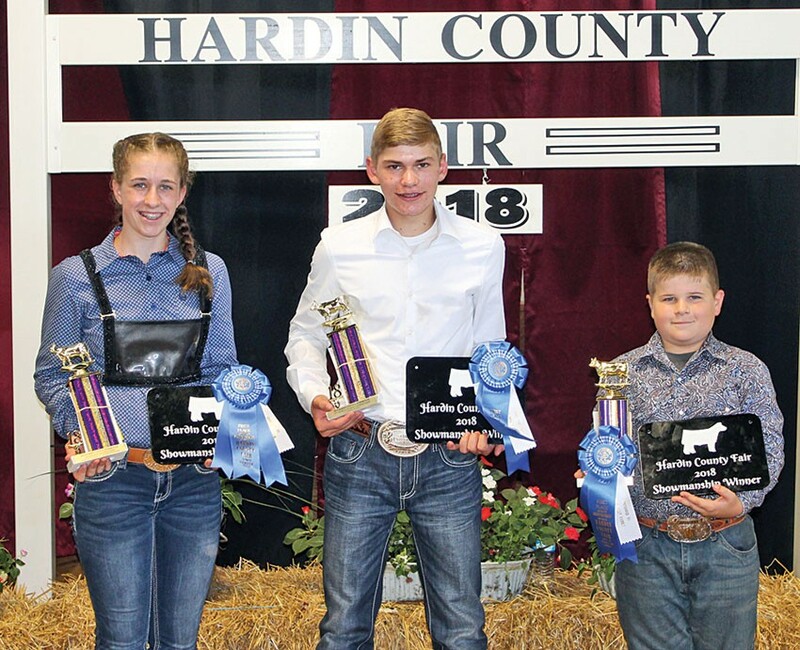 Placing first in the beef showmanship classes on Wednesday were (from left) Mekenzie Jolliff (senior), daughter of Stephanie and Tom Jolliff; Lane Underwood (intermediate), son of Luke and Holli Underwood; and Masen Jolliff (junior), son of Stephanie and Tom Jolliff. All attend Ridgemont School. Mekenzie is a member of the Ridgemont FFA, Lane is a member of the Boots and Buckles 4-H club and Masen is a member of the Ridgeway Junior Boosters. 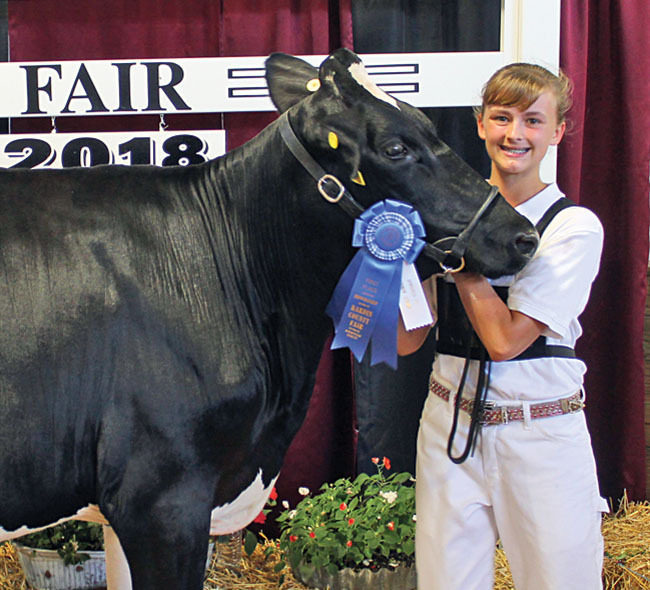 Callie Cromer, daughter of Amanda and Nathan Cromer, earned senior grand champion Holstein honors during Wednesday’s dairy show. She attends Ridgemont School and is a member of the Hardin County Dairy Club. 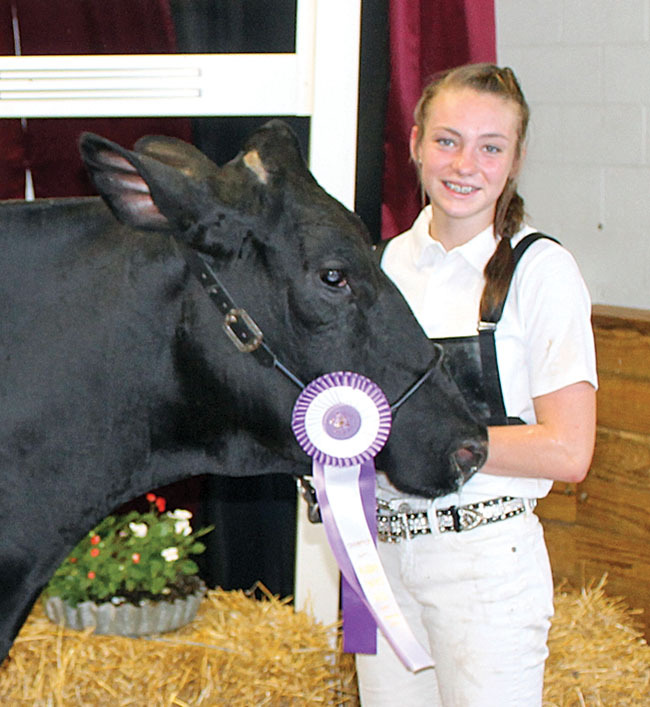 Gabrielle Weaver, daughter of DeWayne and Melissa Weaver, earned first place in senior dairy showmanship during Wednesday’s dairy show. Gabrielle, who is home schooled, is a member of the Goshen Youth 4-H club. 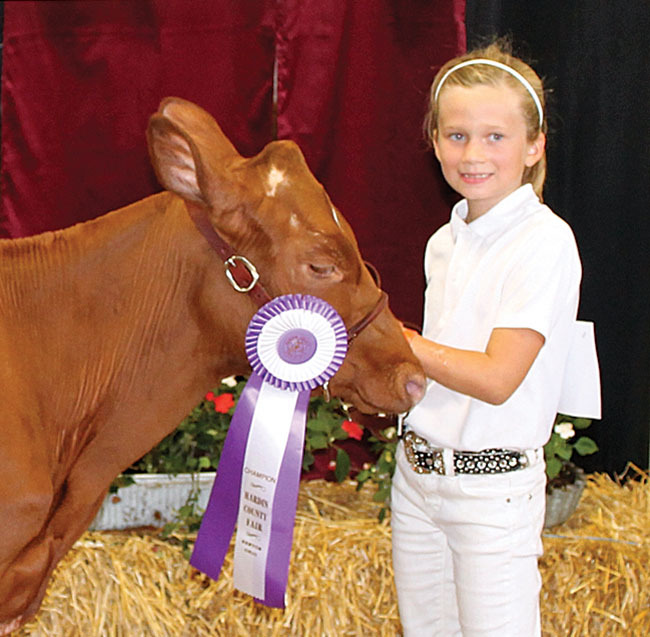 Grace Lawrence, daughter of Don and Beth Lawrence, won junior champion Milking Shorthorn during Wednesday’s dairy show. Grace is home schooled and is a member of the Liberty Belles and Boys 4-H club. 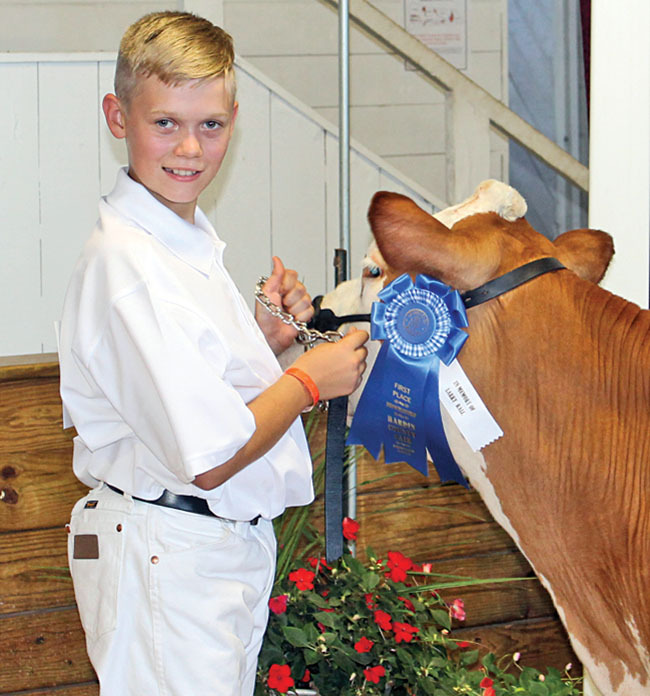 Ethan Lawrence, son of Don and Beth Lawrence, placed first in junior dairy showmanship during Wednesday’s dairy show. Ethan is home schooled and is a member of the Liberty Belles and Boys 4-H club. 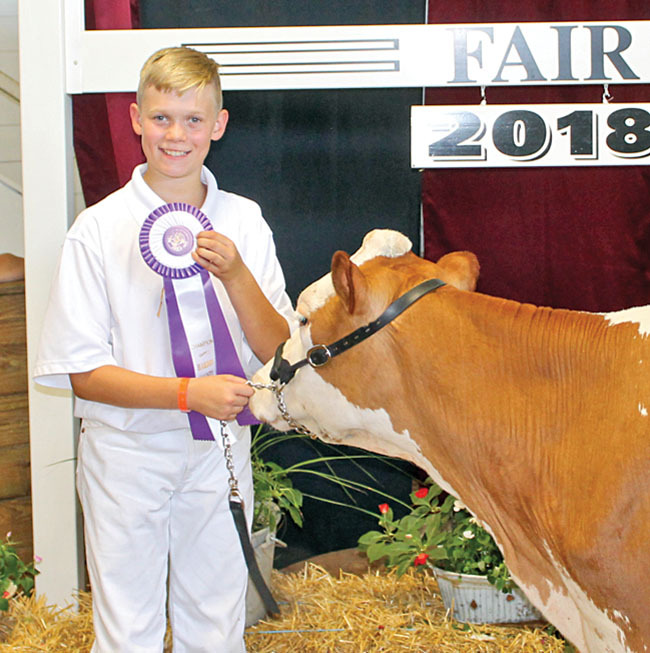 Junior champion Jersey honors went to Zachary Wedertz, son of Chris and Heather Wedertz, during Wednesday’s dairy show. Zachary attends Kenton High School and is a member of the Hardin County Dairy Club. 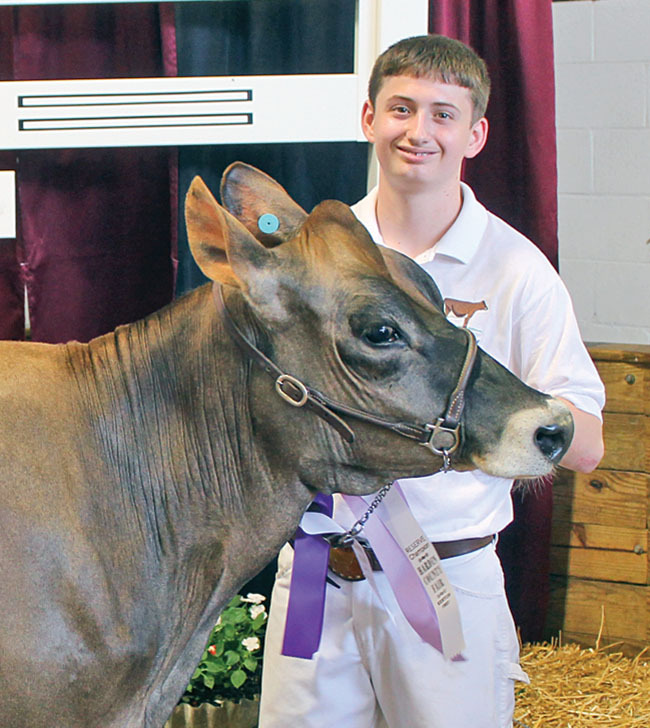 Zachary Wedertz, son of Chris and Heather Wedertz, earned grand champion Jersey honors during Wednesday’s dairy show. He attends Kenton High School and is a member of the Hardin County Dairy Club. Earning first place in the intermediate class of dairy showmanship on Wednesday was Alex Weaver, son of DeWayne and Melissa Weaver. He is home schooled and a member of the Goshen Youth 4-H club. 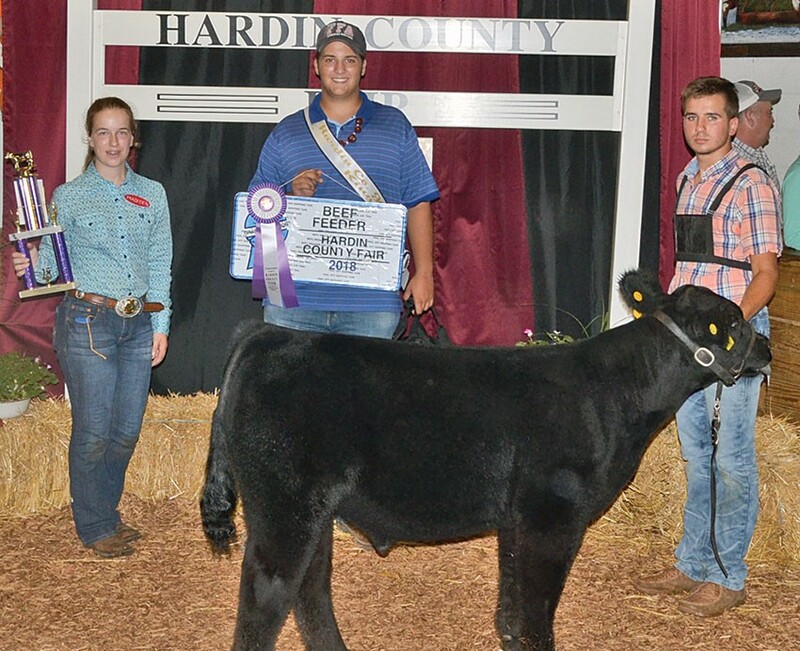 Taking the award for reserve champion market beef born and raised in Hardin County on Wednesday was Garrett Royer, son of Brenda and Rick Royer. Garrett attends Upper Scioto Valley High School where he is a member of the FFA. 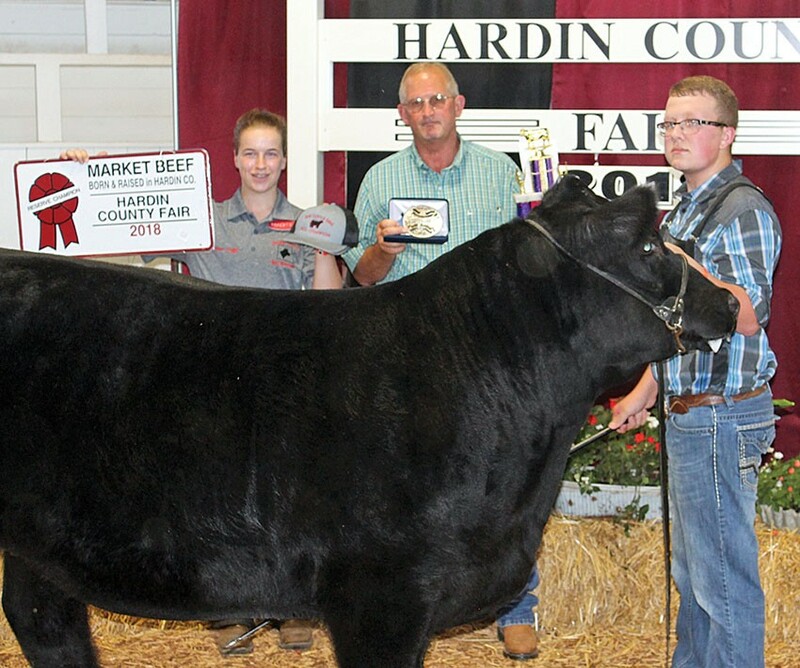 Brian Searson, son of Fred and Heather Searson, took home the award for grand champion market beef born and raised in Hardin County during Wednesday’s show. Brian attends Kenton High School and is a member of the Lynn Valley Farmers. 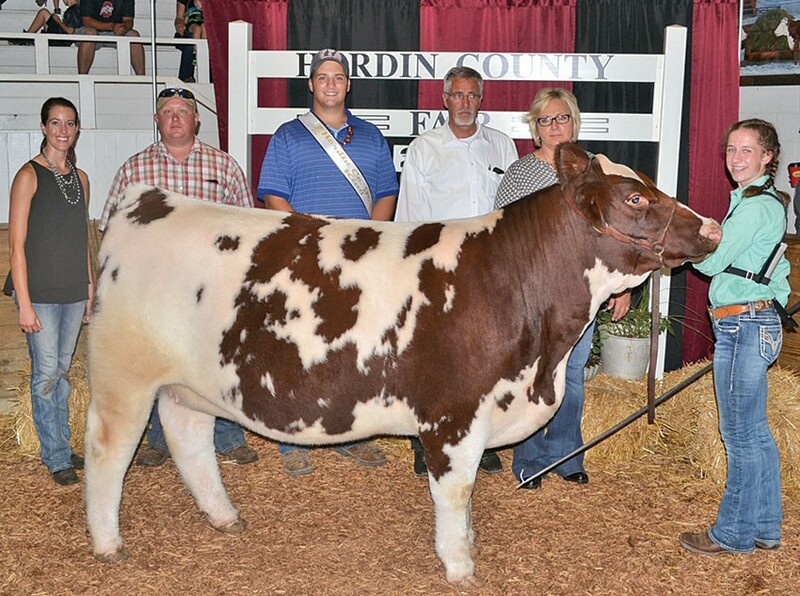 The breeder for the prize-winning animal was Dunson Farms. 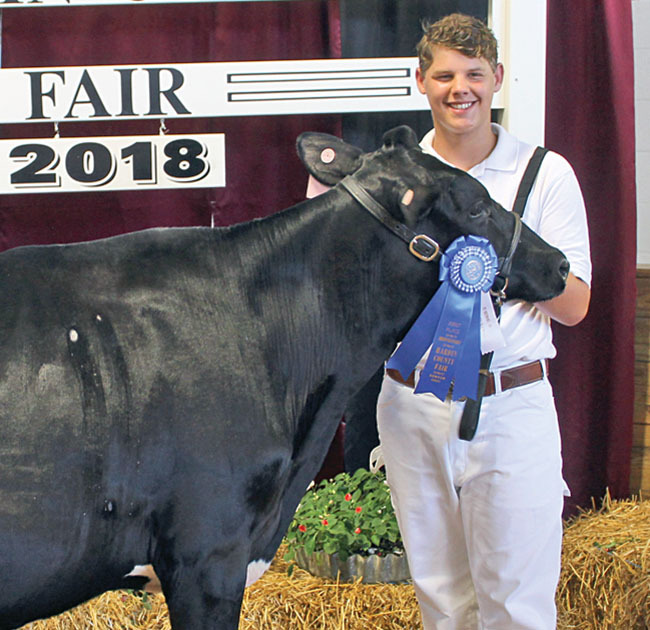 Winning junior champion and senior reserve champion Holstein honors at Wednesday’s dairy show was Nathan Mattson, son of Sue and Paul Mattson. Nathan attends Ada High School where he is a member of the FFA. 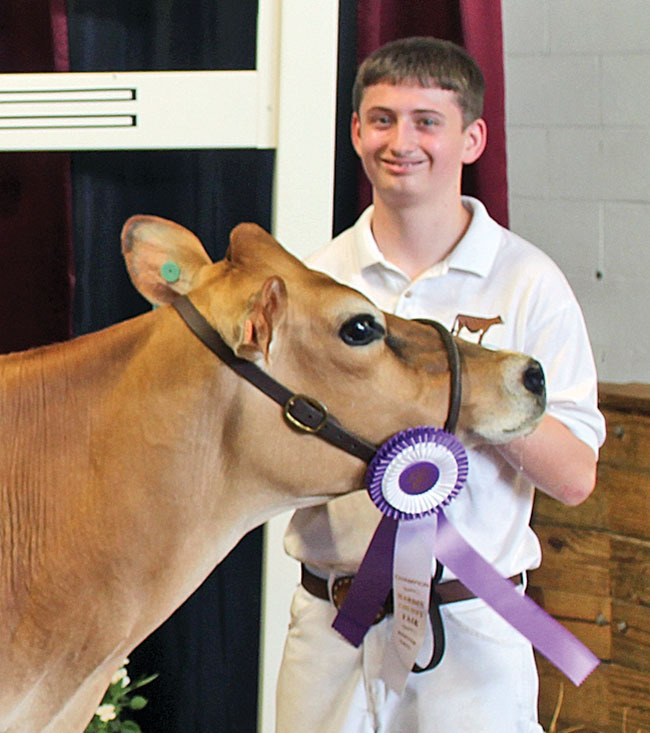 Ethan Lawrence, son of Don and Beth Lawrence, earned junior champion Guernsey honors during Wednesday’s dairy show. He is home schooled and is a member of the Liberty Belles and Boys 4-H club. 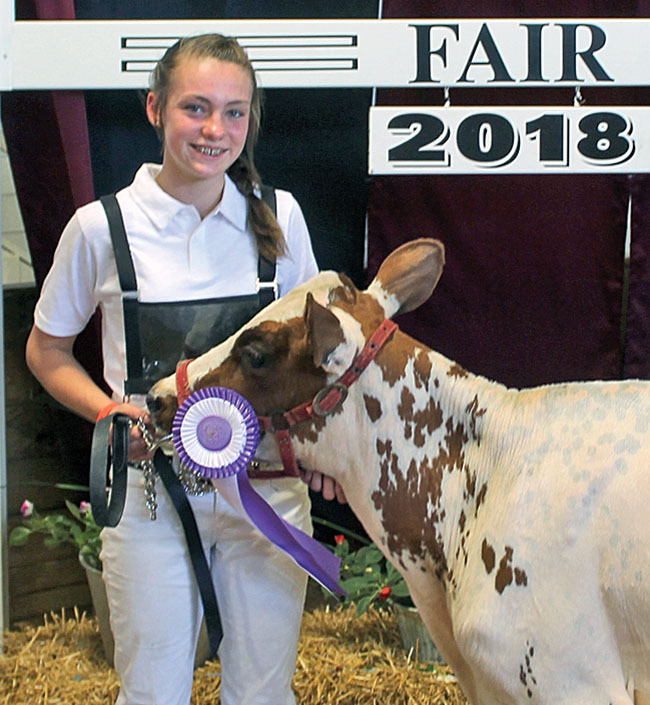 Earning junior champion Ayrshire honors at Wednesday’s dairy show was Callie Cromer, daughter of Amanda and Nathan Cromer. She attends Ridgemont School and is a member of the Hardin County Dairy Club. 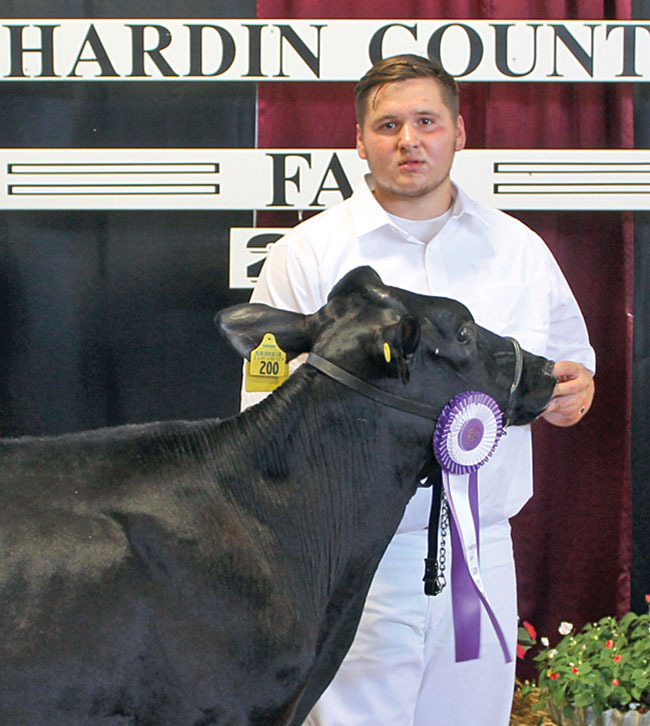 Dylan Thompson of Upper Scioto Valley FFA showed the grand champion beef feeder during the junior fair show on Thursday. Dylan is the son of Jeff and Felicia Thompson of Alger. 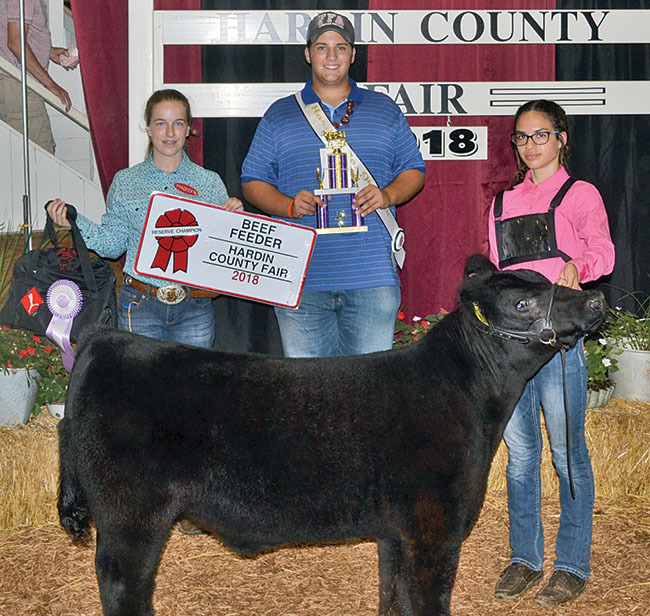 Sammie Unger of Kenton FFA exhibited the reserve champion beef feeder during the junior fair show on Thursday. Sammie is the daughter of Kevin and Marcia Unger of Kenton. 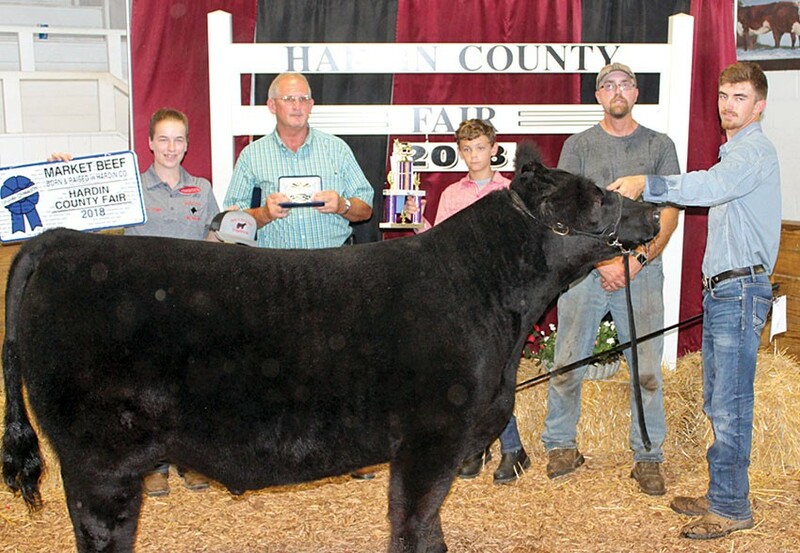 Mekenzie Jolliff of Ridgemont FFA showed the reserve champion supreme heifer during the junior fair beef breed show on Thursday. Mekenzie is the daughter of Tom and Stephanie Jolliff.